We, as citizens lack the understanding and the will to make the changes necessary in our own lives. “Our” government is also unwilling to do what needs to be done. Over. It won’t just be our children and grandchildren that will suffer, we all already are. It’s true that no particular storm or weather event can be attributed to man made climate change but the science is pretty clear that we are already feeling it in our obviously changing weather patterns. Which brings me to my next topic: science literacy. We are in this position because science is slow and takes time and because people do not understand the basic scientific process. Without an understanding of how science works people are easier to manipulate on issues that require such an understanding. In this case various global industries that have benefited from the continued exploitation of fossil fuels have actively sought to confuse the public to protect their profit source. It is unfortunate that capitalism does not prioritize the public good but that’s another topic for another time. Suffice it so say that capitalism has, thus far in it’s history, demonstrated that it does not seem to be able of co-existing with the needs of our planet’s ecosystems. Regardless of that discussion, we know that these industries have spent many millions of dollars to convince the governments and people in general that the science of climate change is uncertain. They have been very effective at exploiting a general lack of understanding of the specifics of climate science and science in general. If we are to move forward we have to build a process and a system for teaching basic science literacy. At the very least we need for the adult citizens of our planet to have a basic understanding of the scientific method. Though that is just one part of minimal understanding it is fundamental and is the starting point for giving people the tools to evaluate the information (or disinformation) that is available. To that end folks have been working in recent years on developing a global network of science cafes. In Madison County our little discussion group, fondly referred to as the Geek Parade has decided to open itself up a bit to the general public and will be making an effort at more organized, public discussions. We’ll be getting started in January 2013! We have a long way to go. Science literacy in the U.S. is low as evidenced by such indicators as acceptance of evolution which is one of the lowest of all western nations, 40%. I’m excited that we’ve gotten the ball rolling in our county, but it is distressing that there are only 4 such groups in the state. Well, there are 4 that are a part of the Science Cafe network. There may be others which meet that I am, at the moment, unaware of that are not listed. Certainly there are various other groups such as astronomical societies that advance science literacy but it is not really the broad-based organized effort that is needed. 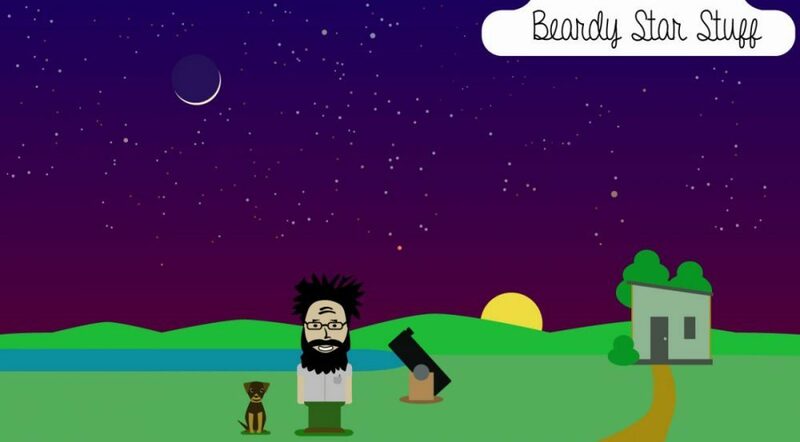 This entry was posted in Science, Science Outreach on November 26, 2012 by Denny. I was able to squeeze in about 1.5 hours of viewing this morning just as the moon set and before the sun rose. 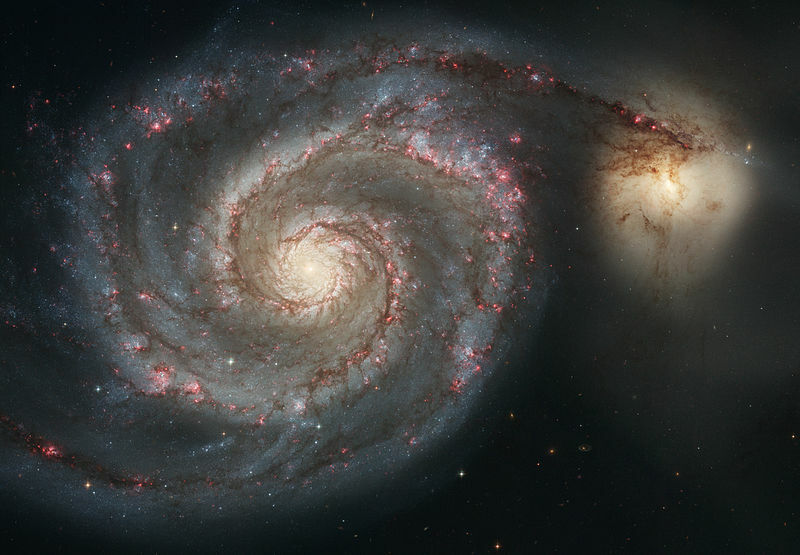 My main subject was M51, the Whirlpool Galaxy, in Ursa Major. Unfortunately there was still a good bit of moon light in the sky so I’ll I definitely want to revisit this one for the best possible view. That said, it was still pretty dark and the view was quite nice, I just know it will be better with darker skies. Even with the lighter sky I believe I was able to make out a hint of the spiral structure. M51 is not alone though, it has a neighbor galaxy, NGC 5195, with which it has been interacting for hundreds of millions of years. In fact it is believed that it is due to these interactions with NGC 5195 that the the spiral structure of M51 is so pronounced. Quite a pair! In addition to the Whirlpool Galaxy I also got a look at two other Messiers, M89 and M90. I’ll definitely revisit both of those when skies are darker. A bonus, the above mentioned NGC 5195 is a member of the Herschel 400! That brings me to 92 of 110 Messier objects and 112 of the 400 Herschels. Not to bad for just over two months of viewing! Three months ago I would have told you that my brand new 8″ Dobsonian telescope would be all I would need. 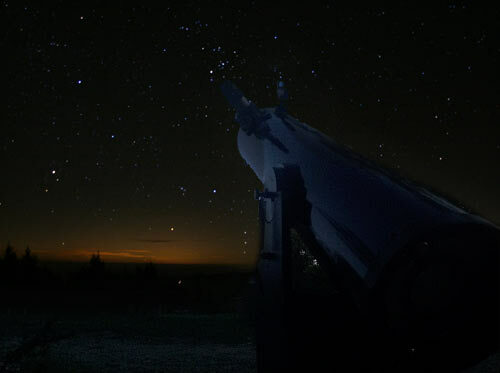 Well, I can tell you, that as much as I enjoy the views that this scope provides, I am excited about someday seeing these objects with a 16″ scope. So much of what is now a hint of structure will be far more obvious with a larger scope. That said, I’m happy to have started with the 8″ and know that many people use such a scope for many years. It’s good to know what is possible with this aperture and, in fact, learning to star hop with it has been a joy, viewing the faint fuzzies with it has required time and effort. I feel like I am earning my way to the next step and will, no doubt, more fully appreciate the better views of the larger scope when the time comes because of my starting point. 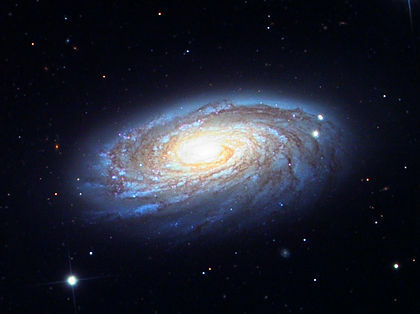 This entry was posted in Astronomy, Living Simply, Science on November 26, 2012 by Denny. 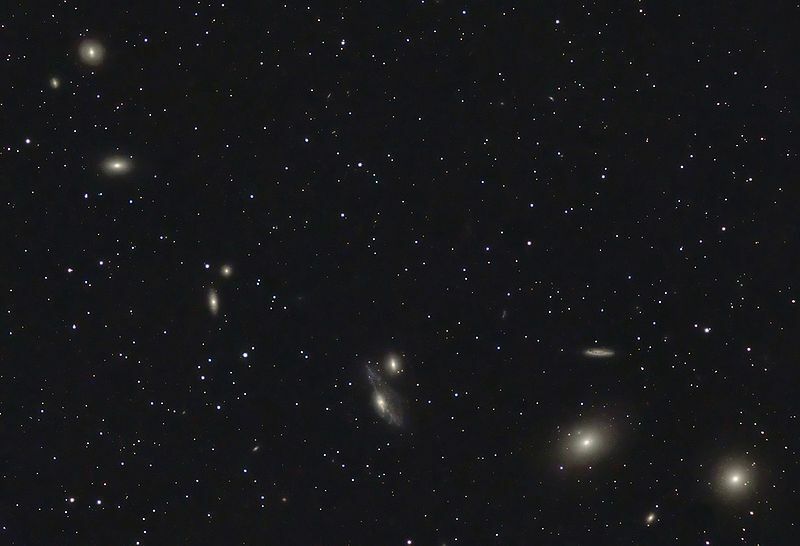 Got up at 3am and had a long trip through the Virgo Galaxy Cluster! It was a chilly 25 degrees F but I was layered up and ready to go. I added 6 more Messier objects to my viewed list and 7 more to my Herschel 400 list before the sun started to brighten the horizon at which time I popped over for a visit with Saturn. The Virgo Galaxy Cluster is about 54 million light years away and contains a minimum of 1,300 galaxies, possibly as many as 2,000. Viewing it with a telescope is fantastic… I just hopped from galaxy to galaxy. Normally I’m lost in the stars, this morning I was lost in galaxies! If there had been more time before the sunrise I could have easily stayed in this little area of the sky for many more hours. The number of galaxies is overwhelming. My favorites of the night were Messier 88 in Coma Berenices as well as the various galaxies that make up Markarian’s Chain. What a sight! Messier 88 actually shows a bit of structure though it is faint in my 8″ telescope (and obviously nothing like the detailed image above). I expect that my next 3-4 morning sessions will be spent in this cluster of galaxies. The moon will be setting later these next couple days so I’ll have less time each day between moon set and sunrise. I hope to squeeze in another morning session tonight! This entry was posted in Astronomy, Science on November 24, 2012 by Denny.